Happy 12-12-12! I’m not really sure what’s written in the stars for this date but 12-12-12 sure looks cool to me and to mark its uniqueness, I decided to cook Sweet and Sour Prawns with Pineapple for dinner. 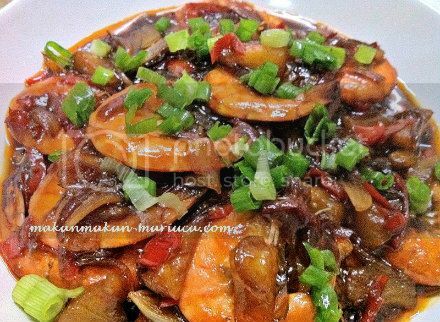 Truth be told, I’ve been craving for Sweet and Sour Prawns for quite some time and so far, the ones we have sampled when dining out is nowhere near my high expectation when it comes to good prawn cooking. So I took matters into my own hands and attempted to cook this dish for the very first time. Here are the ingredients. 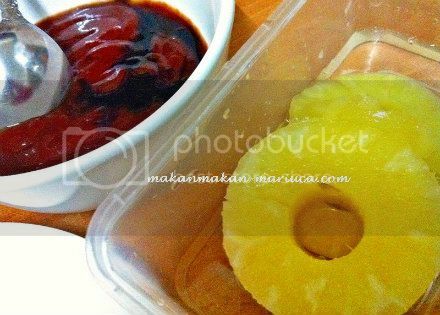 Besides pineapple, I also added shallots to my recipe and though the recipe did not call for water, I did add just a bit to balance the sweet with the sour. 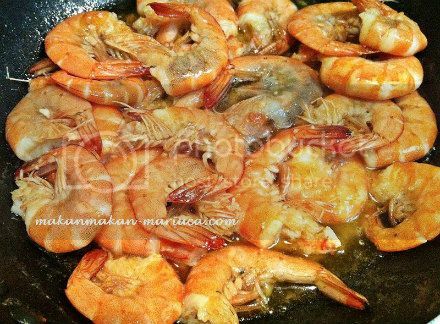 Shallow fry the prawns (marinated lightly with salt) until they are lightly cooked. Remove from pan and put aside while you cook the sauce. 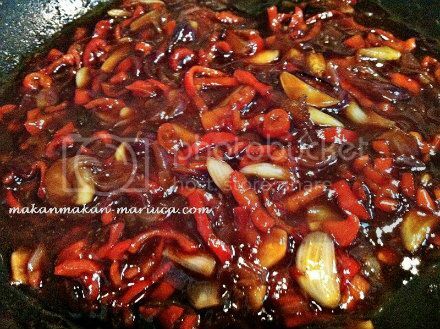 Sauté the shallots, garlic, ginger and red peppers on medium to low heat until fragrant. 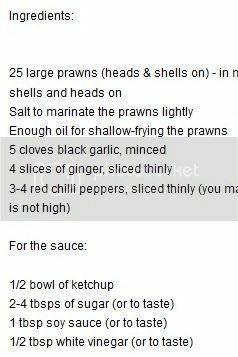 Pour in the sauce ingredients and bring to a boil. 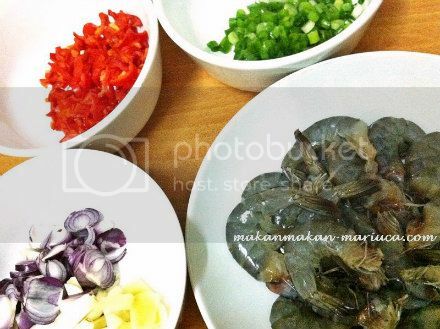 Add in the fried prawns and stir well. Remove from pan and serve hot. What’s the verdict? Well, my recipe and first-attempt at cooking Sweet and Sour Prawns was a success … to me and to B at least! My dish was definitely not way runny as served in most restaurants we’ve tried in our area. I also like that the sweetness of this dish was not overwhelming so we could taste both the sour and the sweet equally well. To put it in a nutshell … YUM and next time, I want to try cooking Sweet and Sour Fish! By the way, B gave my dish 4.5 out of 5. Everything was yummy and perfect taste-wise but the prawns were not enough so he was left wanting more!